Win a pre-production camera board! 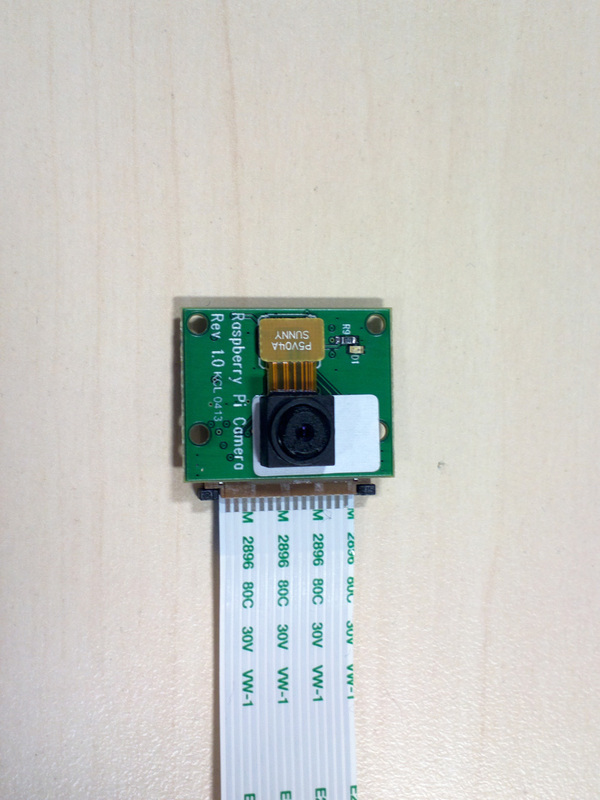 We’ve sent the first camera boards to production, and we’re expecting to be able to start selling them some time in April. And we’ve now got several pre-production cameras in the office that we’re testing and tweaking and tuning so the software will be absolutely tickety-boo when you come to buy one. Gordon is in charge of things camera, and he’s got ten boards to give away. There is, however, a catch. The reason we’re giving these cameras away is that we want you to help us to do extra-hard testing. We want the people we send these boards to to do something computationally difficult and imaginative with them, so that the cameras are pushed hard in the sort of bonkers scheme that we’ve seen so many of you come up with here before with your Pis, and so that we can learn how they perform (and make adjustments if necessary). The community here always seems to come up with applications for the stuff we do that we wouldn’t have thought of in a million years; we thought we should take advantage of that. So if you have a magnificent, imaginative, computationally interesting thing you’d like to do with a Raspberry Pi camera board, email [email protected]. In your mail you’ll need to explain exactly what you plan to do; and Gordon, who is old-school, is likely to take your application all the more seriously if you can point to other stuff you’ve done in the past (with or without cameras), GitHub code or other examples of your fierce prowess. (He suggested I ask for your CVs, but I think we’ll draw the line there.) We will also need your postal address. The competition is open worldwide until March 12. We’re looking forward to seeing what you come up with! I know it won’t win me a camera, but the first job is a self-portrait of the RPi, is traditional is it not (although the Mars landscape in the background may be simulated…by Issue 6 of the MagPi). I would love to see it tested for astronomy pictures, and some high-res/high-speed stills/video. Camera was obviously not designed for astro, but I think it is worth trying. Quoting an earlier forum post I made, mfr.specs say 10-bit ADC, S/N ratio: 36 dB, dynamic range: 68 dB, sensitivity: 680 mV/lux-sec, dark current: 16 mV/sec @ 60 C, well capacity: 4.3 Ke- From that I gather the dark current (at +60C) is equivalent to a light exposure level of 16/680 = 0.02 lux. Wikipedia says a full moon provides illumination level of 0.25 lux, so if I did that right, a landscape on a clear moonlit night would show about 3 stops of range above background black. I think it has good sensitivity for a 1/4″ color camera, but not as good as the 0.0003 lux black-and-white security cameras sometimes used for video astronomy. +1 for astro photography! I think there are quit some hurdles to take, but as far as for my research there are possibilities to overcome loss of image quality by physical constraints trough image processing techniques (e.g. multi layer super resolution). Of course the semi-pro astphotographer would flip the bird, but hey lets try it! I don’t think you will be seeing in the dark with this camera, the pixels are way to small. You don’t get the quoted S/N ratio and the sensitivity at the same time. The S/N is with the gain amp set to a small value, the sensitivity is with the gain amp set to the maximum value usually. So with the gain cranked up your S/N ratio goes to hell. I would lower my expectations, like really low. I used only two numbers in my calculation above, sensitivity and dark current. AFAIK, both those should be measured under dark conditions. It’s a cell phone camera, not an astro-cam, but the bottom line is how it actually performs and we will (hopefully soon) see. Entry sent, although I know that the community here will come up with some much more amazing ideas than mine! Could you add a link to the camera’s specification – things like expected frame rate at each resolution, and some indication of sensitivity and noise would be great. That would help us tell if some ideas would be feasible or not. Thanks! Google OV5647 (the name of the camera sensor chip, from OmniVision) and you can get some useful data. There is even a ru site with an early version of the full, confidential data sheet “ov5647_full.pdf”. It is a backside-illuminated CMOS sensor chip, 1/4″ optical format, with 1080p30 and 720p60 video. Active pixels: 2592 x 1944, image area 3673.6 x 2738.4 microns. The data sheet mentions less-standard video formats like QSXGA (2592 x 1944 at 15 fps) and QVGA (320×240 at 120 fps) but I don’t think the R-Pi supports those, at least not now. The sensor doesn’t support 120fps (even though the datasheet says it does) and I haven’t got 60 or 90fps (640×480) modes working yet – although the VC should be more than capable. How about Pi in the Sky Mk. 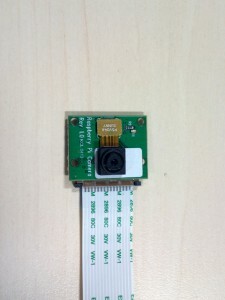 II – using the camera board rather than a webcam. That of course is exactly what I’ll be doing with it! Rob will be posting yours out tomorrow morning! Good luck… Model A + Camera is not a lot of weight! Indeed, and that’s the exciting thing for me. I’ve removed most of the connectors from one of my Model A’s already, and with the lower power consumption I can use fewer and smaller batteries. >40km should (latex permitting) be achievable. Any word on when it will be released? Will I ever be able to post on here. There is one application especially worth checking – Eulerian Video Magnification http://people.csail.mit.edu/mrub/vidmag/ Maybe RPi could be used as cheap baby breathing monitor. The MIT SIGGRAPH video showing the enhancement to visualize breathing and pulse is impressive. If you can do this with cheap hardware like RPi + camera, that would be amazing! I was going to post that as well. Hmm, I have an equatorial mount reflector telescope and a lens adapter. Just have to mod up an arduino to drive it. I haven’t got all the parts yet for the arduino, so if a rapid return on results isn’t needed, I’d say send me a camera. Any idea yet what the cameras would be selling for? I’m going to put it on wheels and equip it with a sandwich. And I don’t mean just any wheels, I mean BIG wheels – all-terrain, mud and snow, stud-equipped, rock-and-cliff-climbing kindsa wheels. And I don’t mean just any sandwich, I mean the Earl of Sandwich kind. And no, there will be NO Grey Poop-on musturd involved, it will be a rightly condiment on the order of Colman’s Original English Prepared Mustard. Then, we send it into space, and I don’t mean near-space on a foofy balloon, I mean orbital space, as in to the International Space Station … or perhaps interplanetary space, such as to Mars (but, that’s going to take about five more years since we missed the launch of Curiosity a couple of years ago). You have no idea what kinds of opportunities there are to stash things in equipment being prepared at our local NASA Ames Research Cent(er/re) here in SillyCon Valley (where technology for the Mars rovers was originally designed, along with testing of rover parachutes in the wind tunnels, and off-Earth exobiology research is done, among many other things). I highly recommend getting your very own NASA research cent(er/re) in your own back yard – it’s lottsa fun, even if Google is buying and hiding most of it (they currently rent a NASA hangar for their 757, 767, and all of their private aircraft, and are paying to detoxify historic Hangar One, the dirigible hangar built in 1933, where everything will move to in a year or three). Fantastic: that’s both socially responsible and totally revolting. My hat is off to you. I had a linux-based webserver take picture of my living room every 5 minutes for whole 2010. I have soooo many pictures. I even made time-lapse videos of them. This is very demanding on your media (lots of small writes) and I recommend you make a script that compares images and only does something, when image changes. I am going to use mine for home surveillance, when I eventually buy mine. Just make an Android app that takes pictures on demand. IF Pi had more memory, you could cache whole day’s worth of pictures in the RAM and compile a time-lapse at midnight. Any idea if V4L2 drivers will be available when the camera launches? Or is that something you’re hoping the open-source community will provide? I submitted an entry yesterday with a couple of cat-related image processing robotics tasks: smart cat flap that refuses entry to cats bearing rats and other playmates, and the kitchen defense robot that shoots nerf darts at cats on countertops. Those are fun, but I’ve done some kernel hacking in the past and could have a go at getting OpenCV or V4L2 going first (though I’ve not specifically worked on video drivers before). I could just as happily do the cat-preventing jobs with OpenMaxIL, all I need is frame grabs. If we made drivers the priority then that would push out the cat-frustrating a bit, but would certainly benefit the community. Eye tracking for scrolling through web pages, writing etc. hi i have gotten into rc airplanes and have been looking for a camera thet i can use with a mobil phone for flight data and for remote controle functions to maintain flight pathe and altitude. the systems now on the market are limited as to distance and with phone towers everywhere it seems this would be a cost efective way for 2way comuinacation. I would enter this idea into the contest as it is a research interest of mine, however, I am certain I won’t have enough free time in the near future to actually implement it in any timely fashion. I think turning the RPi into a wearable structure from motion device would be really cool. Calculating camera position through feature tracking and generating a 3-d representation of your surroundings. Sort of like the Google street-view cars, but for hallways. It would be really computationally expensive, I’m unsure of how much of the processing the RPi could actually handle, but it would be really neat. I plan to stalk around my neighbors. Does this apply? [email protected] when they are available. Seems a lot easier to spend £30. Entry sent from out here in California. Thanks for the offer and consideration!! Now that the boards are off to production, could someone post a few photos that would allow us to SEE rather than read what the photos will be like. A photo of a face, and a photo of either a page of text or a printer test sheet would be ideal. Not until we’ve finalised the software. If you follow the “camera board” tag you’ll see some pics we’ve taken during development, too. Geez, you actually reply to these things quickly (or tickety-boo, if that’s your preference). Thanks a million for everything all of you have done and are doing. It is both highly appreciated and highly inspirational. Entry Submitted, good luck to everyone! It’s a pi-based version of a commercial product – perhaps significantly cheaper & a potential life-saver. It’s really good news about the camera module – well done everyone! Sent! These boards look great! I like the idea of a home security system that can recognize who is at the front door, or perhaps also various places inside the house. It could have many uses (“Jimmy, you have now watched five hours of TV so far this week…”) I don’t know much about the state of face recognition algorithms, vs. the R-Pi’s cpu power. Unfortunately I don’t have the time to pursue this idea at the moment myself. 3D motion capture is another area which I think benefits from lots of cheap cameras. hi,are schools allowed to take part? for some reason its refusing to let me post today, i have emailed the email address, but forgot to add my address as i went into a daydream of ideas which are flowering. It does sometimes spit out comments which include a URL. If you just send a second mail to iwantacamera, we’ll join it up with your first one. Hi i have started work on a project of mine that involves using a PI as part of a suit with sensors that i can then use to add realism to a game. even thou this is an unnecessary add on it but the way i see it it can send me the crucial processed information directly to the server PC instead of having that main PC doing all the work. Even though this is unnecessary it will leave a PI in charge of a suit, therefore making it easier to maintain issues with each suit. My main reason is that I intend to get overboard complicated with this idea and I am putting the PI as a precautionary measure just in case i need it at some point. Any ideas will help allot thanks. is there anyway to use them with a battery, is there anyway to use them as an intercom and can they run some sort of wireless data sending device through the Ethernet ports. (at the current moment i am trying to get hold of a PI and I am finding it hard as I am in South Africa and most people aren’t even aware the PIs exist. Hi Chris, Electocomp Express is the official Element 14/Farnell distributor in SA. Also, if you are not willing to wait for stock availability and shipping there are alot of aftermarket sellers that can be found on Gumtree. I am running a 24/7/365 meteor radio reflection monitoring station, part of the RMOB network (www.rmob.org). Currently using a x86 laptop, but developing the software for Pi. It would be nice to complement the radio setup with an optical setup that works at night. Although the low-light performance of the camera is probably poor, the low cost and low power are very attractive. Makes for a nice science project for a school. I’d like one to be able to recognise the image of a feline crouching in my vegetable plot and to trigger a water pistol to dampen its enthusiasm. Then maybe I’ll be able to cultivate food crops eaten raw, like salad. Check out “Blender Defender” on google and you’ll find the answer to your dreams! Ever since the first news of a Pi-camera was announced, i have been thinking of this application: point the camera towards our (any) cherry tree; as soon as a bird flies into the tree to steal some cherries (and we have a lot of daring birds in our neighbourhood) the pi has to react with rock music, the sound of a sparrowhawk, kids shouting or whatever is most effective in scaring the bird away. If you have an idea of the price of a large size decent quality bird’s net you’ll understand that this solution is probably cheaper than throwing a net over your tree, especially for large trees! I’d be very interested in hearing if this works! Would the birds would end up eating at night when the camera doesn’t see them? As a seasoned feeder of birds, I can get this one: most birds sleep at night, especially the small and delicious ones (often full of cherries) that might make prey for bigger things with better night vision. Does Mooncake feed _on_ birds? She is a housecat. She’s also only about the size of a shoe, and we get buzzards round here. Good for you! I was shocked out of my skull to read a week or so ago that wandering and feral housecats could kill as many as 2 to 2.5 billion birds and other little scruffs each year, wow. Having said that we have three (now all indoor) cats. I really like birds. (You would not believe the sums I spend on bird food – and the way I’ve trained myself not to be disgusted by mealworms.) I love cats too, but no cat I own is ever going to be an outdoors cat. You know your idea has some genuine merit. Scarecrows are only scary for so long, a Scarecrow with a plan is scary hopefully forever. Motion detection with a flashbulb, crashing symbols or Led Zepplin at random would be unnerving to most any maurader. I love the doves in Alabama won’t empty the damned feeder everyday. Give them all to V4L2 driver developers so the rest of us can play with Motion, OpenCV and touch-screen table interface software after they are done. My nephew has vision problems. The shape of his eyes are distorted. So he wears glass contacts that physically reshape his eye. They cost $250 a pop. When he sneezes the pressure in his eye causes the lens to pop out. He is then effectively blind beyond a few inches from his face, so often cannot find the lens. He can however read the screen of his mobile phone when placed and inch or so from his face. I have been wondering if a small display right in front of one eye, a small wearable camera and some image/video stream manipulation to correct or adjust the image to suit the defects in his eye might not make his vision/life a little better. The raspi, the camera opencv and a small oled display my not be a worth while project. Google has been fantastic to the Foundation. If your nephews condition isn’t the best application I have heard of for Google Glass, I don’t know what is. So the raspi could be a good experimental platform to see if something is achievable outside normal research circles. Goggle Glass is the wearable camera/display developed by Sergey Brins team at Google over the last few years. They are just entering production. Google Glass and a battery operated Pi would make a nice wearable computer. The plot is: everyone could access the internet by special glasses, read and send emails, see the products price on market, have virtual pets…. A very good idea, indeed. Has some psychological implications, since people could mess reality with virtuality. Yeah, I know about google glass, pretty cool. We seem to be in the age of the possible. People can now design and print their own prosthetics, use kinect to augment awareness for the blind. All sorts of possibilities and this doesn’t even need direct work by big corprorate bust just people in their home/backyard with an idea. Are the camera boards being assembled by Sony in Wales too? ..and will they be distributed through RS/Farnell? The main idea for the camera would be to use it for motion detection integrated with an alarm system. But the plus would to use it also as safety device for people with continous need of assistence (older people, maybe with limited movement capabilities), integrated with a automatic monitoring system (I am thinking of some form of “I am in danger!” or “I do need help!” message trigger with body language). Obviously it would depend on the tech capabilities of the cam, but anyhow it would be a good starting point for experiencing and developing the system. Donate a model A and camera board to SpaceX ask them, nicely, to send it up to ISS on next flight. Then they can use it to film out of the Cupola window of our “little blue dot”…..
Adrian, or you could sent it their directly using DHL, their uk advert clearly shows a packing being pack, picked up, flown around the world, and delivered to the space station where an astronaught opens it. Only problem is I have no idea how much DHL charge for delivering a package to the ISS. If they have a time slot for the delivery and you pick a time when the ISS is over the UK then it not an international delivery? I know i wont win one but I still want one! I would like to try to use a pi and camera to use with a microscope. The pi could drive the slide stage, focus controls and magnification changes through a series of stepper motors. The camera could be attached to an eye piece and allow for digital images to be captured. With a bitor software the system could be used.to identify cell types.there are already systems that do this but they are big and cost thousands of pounds. Imagine a RasPi with camera trained on a flight of stairs where there might be vulnerable people around – the elderly or infirm or those in police custody. If the RasPi with camera can detect a human being with flailing limbs and travelling downwards at unexpectedly high speed with abnormal or zero contact with the stairs, it could inflate an airbag at the bottom to break their fall. The processing is needed to distinguish between a person and inanimate objects such as dirty laundry or a pack of toilet rolls. I don’t think this camera can detect IR (I think it has an IR filter). If this is right, it is a real shame, because the camera could of been used for IR based touch table setups. am i making sence or am i talking into space here ? It’s not quite as simple as that (have you never noticed that the position of the moon moves?) so you’d need some system (even if it’s just manual alignment) to ensure that your telescope is always pointing in the right direction. i wonder if i opt for a depth perception use i can get 2 camras for my prize? Will it be possible to externally trigger the camera by means of the GPIO? being able to sync the capture with external devices would open a lot of possibilities. It greatly depends on your real-time requirements. So how much time do you allow between the event and the camera taking a picture. Ok, so “real” time triggering isn’t allowed. How low can the latency go? can it achieve single digit millisecond accuracy (30Hz is 33 msec/frame) so I’m assuming at least that fast, is that accurate? for example, lets say you mount multiple cameras on a moving platform (car/model plane, etc multiple rPis triggered from GPIO). In order to combine images, the exposures have to be really close in time to avoid any parallax. the lower latency the better. I know I’ll be pushing the limits regardless, just want an idea of whats possible. This brilliant piece of vision processing software certainly gets my vote for a free camera. No shipping cost from Cambridge needed! No OpenCV is a bit of a let-down though. But OpenMaxIL / MMAL make sense coz now we have better GPU integration since the graphics stack got open-sourced some time back. In my case; I’ll have to re-write the imaging module code. A bit of a drag; but paying nonetheless. I’m interesting to test my Netduino Go, pic168887and PIC32MX7, Raspberry Pi. Hopefully, I cannot win this(camera board). My possible project is doing edge detection – used for robotics and checking product position on production lines. And I would really fancy using it with a turn table to create 3d models of objects. Both of these require some serious coding, but they have been done with other computers so why not the Pi (or maybe Pi’s) ? If it can do face recognition, and you don’t program it up to announce “GORDON’S ARRIVED!! !” every time he enters the office, YOU’RE JUST NOT TRYING. What I would do with a raspberry camera? I have a lot of music in digital format. I would like, when friends come to visit me, to handle them a deck of cards with printout of the albums and some info on it. Once they choose their preferred music they should handle the card on a “music cube interface device” to make the music start to play. And guess it. In the box there will be just a raspberry, an hard drive* and a camera. i was wondering if all applications would get a response; even those that don’t make it? Afraid not – there are so many the responses would take up all the rest of Gordon’s year! I am getting the following error when I try to send! Help?? Google tried to deliver your message, but it was rejected by the server for the recipient domain raspberrypi.org by mx1.mythic-beasts.com. [93.93.131.52]. See my reply to Ross – it’s been a week so we’ve turned that address off, but we’ll give you and him a bye because it’s not midnight yet. Mail me your entry at [email protected] and I’ll make sure Gordon gets it. Thanks for this great opportunity–the e-mail address has been bouncing back my messages, though; is it too late to enter? We’ve shut off the email address because it’s been a week, but technically I suppose we can just sneak you (and Nathan) in because it’s not midnight yet – mail me at [email protected] and I’ll forward your entry on. I’ve forwarded my proposal to your e-mail address. Thanks so much for letting me send it in so close to the deadline! My mail was bounced back. Again, see my reply to Ross – it’s been a week so we’ve turned that address off, but we’ll give latecomers a bye until midnight. Mail me your entry at [email protected] and I’ll make sure Gordon gets it. Liz when the results are due and what is the expected date of shipment. We’ve got more than 500 entries to wade through – Gordon’s going as fast as he can, but it depends on how long it takes him to make a decision. He does have other work to be doing too! Dangit ;) I was looking for a reason to re-create my original shot ;) I guess I will have to wait. But looking forward to buying once made available! You guys wouldn’t sell a few early would you guys? I submitted an entry for the camera so I can use it in my Computer Vision project, but doubt I’d win it. Any possibility in getting it at the end of this month, very early April with a good supply? Afraid not, but release is very soon anyway.